Italy - Representatives from four protected areas within the future TBR MDD attended the MaB YOUTH FORUM in the Po Delta Biosphere Reserve, Italy from 18- 23 September. The forum was organized by UNESCO’s Man and Biosphere programme (MAB), the UNESCO Regional Bureau for Science and Culture in Europe based in Venice (Italy), Po Delta Biosphere Reserve and other partners. On the forum delegates from over 140 biosphere reserves in 85 countries agreed on a shared vision for the future of youth in biosphere reserves. “Despite the fact that we come from diverse backgrounds, we are united on these objectives and actions,” states their final declaration, which will be presented at the 10th UNESCO Youth Forum in October 2017. 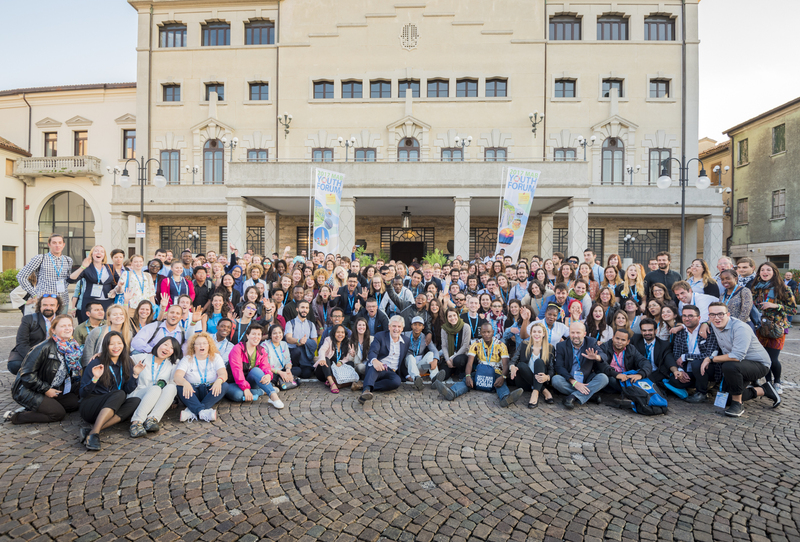 The MAB Youth Forum delegates were particularly concerned with fostering attractive and long term employment opportunities linked to the values of biosphere reserves, such as the conservation of biodiversity and habitat restoration. This would retain youth in biosphere reserves and promote innovation. They suggested creating hubs and incubators, together with training programmes, to support business creation and employability. The Declaration calls on the World Network of Biosphere Reserves to share scientific and indigenous knowledge widely and to support knowledge transmission to future generation. Biosphere reserve managers are encouraged to work with schools to develop specific programmes and to strengthen ties between research institutions and local stakeholders. The young participants made a commitment to organize events with the local communities on diverse cultural, environmental and economic issues, and to train and encourage young people to be more active in their biosphere reserves. They will also act as ambassadors of their biosphere reserves and develop tools to promote values and good practices broadly. Potential initiatives to be explored include the creation of a thematic network for youth, regional youth forums, a funding advisory board, and volunteer and exchange programmes in biosphere reserves. The youth delegates remarked that further efforts could be made to collect data on youth engagement and to incorporate youth perspectives in the Man and Biosphere (MAB) programme’s toolkits and documents.